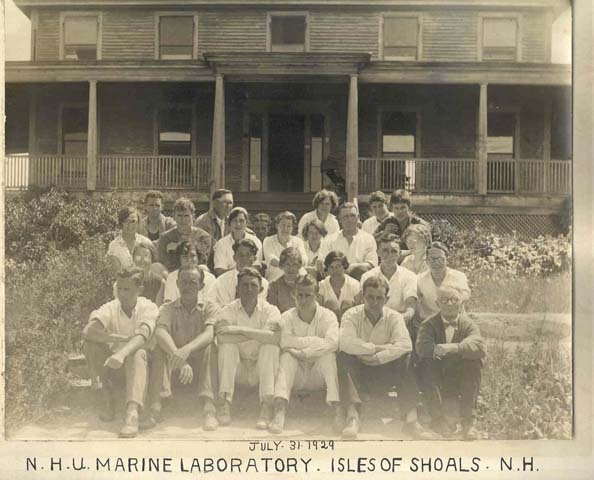 Shoals Marine Laboratory has a deep and rich history. We are proud of the fact that we were the first and remain the largest undergraduate-focused marine laboratory. With this focus, we serve a critical need of undergraduates to obtain field and research experiences that will serve them well in future educational and career endeavors. We are also very proud of our diverse faculty and student body, who come to our remote Maine island from around the world to create life-changing experiences and to make long-lasting scientific contributions. 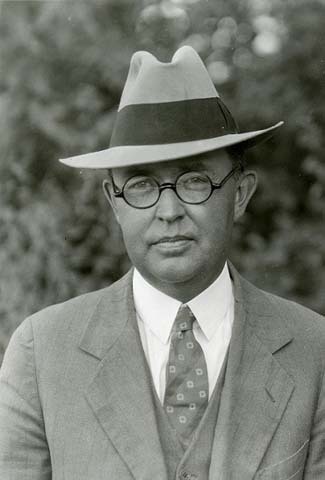 In 1928, University of New Hampshire (UNH) Professor of Zoology, C. Floyd Jackson (1908-1952) opened the first summer Marine Zoological Laboratory on Appledore Island, Isles of Shoals. This was the first undergraduate program of its kind in the country. UNH's Marine Zoological Laboratory thrived from 1928 to 1940, until the federal government took control of the island during World War II. After the war, Appledore Island fell into a period of vandalism. 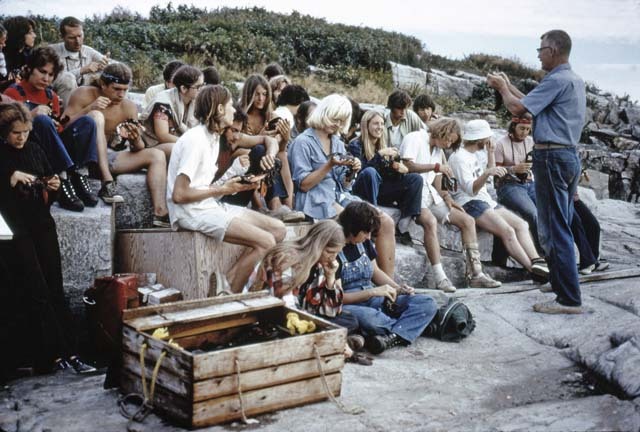 The first group of students arrived on Star Island in 1966. 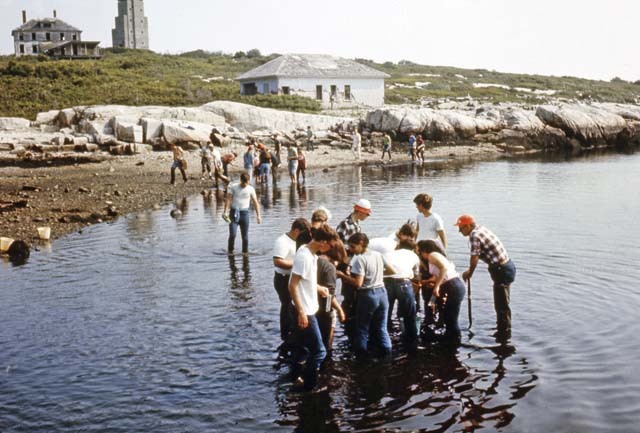 Appledore Island, which was mostly uninhabited since World War II, was selected and developed from the late 1960s to early 1970s as the future home of the lab. Dominic Gratta of Kittery, Maine, directed his crew, assisted by students and early SML staff, in the refurbishing of old hotel and military era buildings as well as the construction of six new buildings and utility services. SML founding faculty included many Cornell faculty: John M. Kingsbury, John M. Anderson, John P. Barlow, Perry W. Gilbert, Oliver H. Hewitt, Edward C. Raney and Louise P. Bush from Drew University. Since the 1970’s SML has continued to update and build a modern science facility on a remote Maine Island, Kiggins Common serves SML’s main kitchen and dining area. Palmer-Kinne Laboratory (built 1974) provides our major teaching laboratory, with space for as many as 60 students. The lab is equipped with a variety of scientific sampling equipment, and two large sea tables supply running seawater for housing marine organisms. SML currently has three dorms each has washrooms and 10 double occupancy rooms. The Grass Foundation Laboratory (built 1972), that provides space for research, and the Appledore Island Migratory Bird Banding Station. The Kingsbury House (built 2001) houses the SML director and guests as well as a residence for open-up, close-down crews and off-season researchers. Focus on Sustainability: In 2007, an 80-ft wind turbine and rooftop solar panels became the first in a series of green energy projects on Appledore Island. SML's Sustainability Program Team installed a 26 kW solar panel array in 2014, followed by an additional 29 kW in 2015. Appledore's most recent "Green Grid" now supports 55 kW of solar energy - a major achievement! For half a centry, SML students have been conducting research, collecting data, and contributing to what we know about the world's oceans, but that wealth of knowledge is just a fraction of what remains to be discovered. 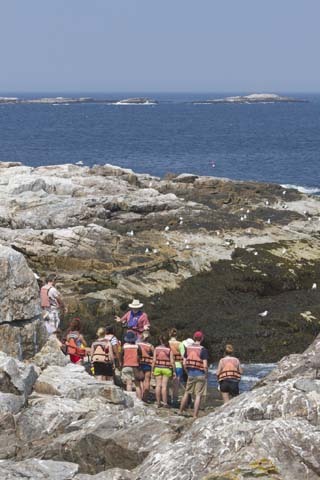 We invite students, scientists and supporters to join us and experience first-hand the excitement, challenges, and rewards of summer on Appledore Island.